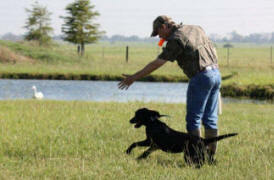 Our training days are geared for you to grow with your retriever. It's a great way to meet people, learn and grow. We have a mixture of training days. 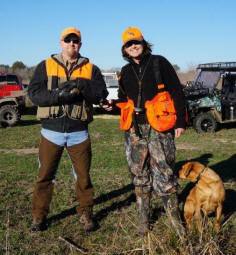 September - November and February - April our core members are running Hunt Test every weekend. Therefore our training slows down. Our weekend training days are open to any retriever enthusiasts. You do not have to be a member of Tejas. Although we would love to have you. They are a lot of fun for you and your retriever. If you are intrested in our training day please email to the Training Coordinator. Hope to see you soon! Thursday Evening Training is reserved for Tejas Members due to the short amount of training time we have in the evening. They are on hold right now. Every week we have a drill or concept that will be taught. 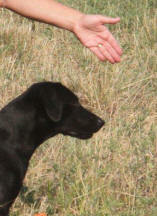 Each retriever and handler will run at his/her own level, but the concept or drill will be the same. Once daylight savings is here we do not have them. If you would like to join us please send an email to the Training Coordinator . The training is in the Katy, Brookshire, Waller, Hempstead area. 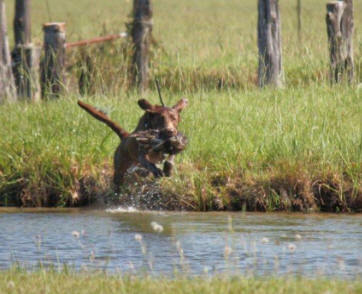 Training Days are wonderful, they help us grow with our hunting companions. You can watch other dogs perform and learn from different handlers.